Pictured: Cocoa liquor. Cargill has made a significant investment to expand its specialty cocoa liquors capabilities in its plants in France and Germany. 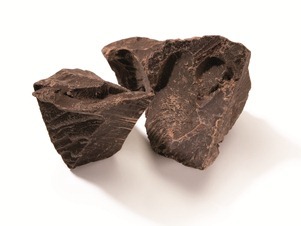 Amsterdam, The Netherlands — March 19 2014 – Cargill’s cocoa and chocolate business has made a significant investment to expand its specialty cocoa liquors capabilities in its plants in France and Germany. The investment in Rouen, France, focuses on enhancing and expanding the Fine Flavor range of cocoa liquors. A production line has been dedicated to the high quality manufacturing of small batch specialty liquors with subtle signature tastes. The beans used for these liquors are from specific origin countries with distinctive characteristics such as Venezuelan beans, of a mild and creamy taste, or those from Ecuador, with a flowery aroma. The dedicated Fine Flavor range production line carefully preserves the delicate flavours specific to each origin country and guarantees the purity of certified organic products. The plant in Berlin, Germany also plays an important role in the production of specialty liquors for the chocolate market and the investment significantly increases its capacity in response to additional demand for quality liquor.